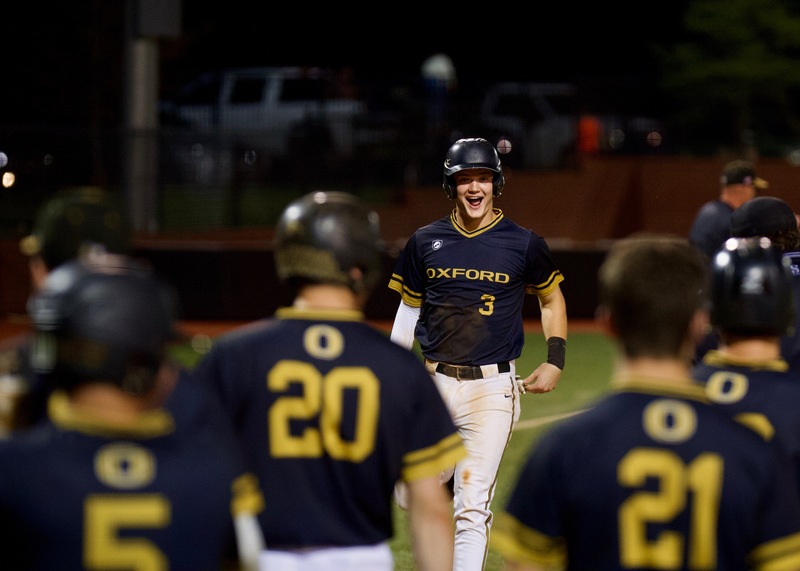 OXFORD – Jake Spivey went 2-for-4 with a homer and four RBIs as Oxford celebrated its Senior Night with a 7-5 victory over Pell City. 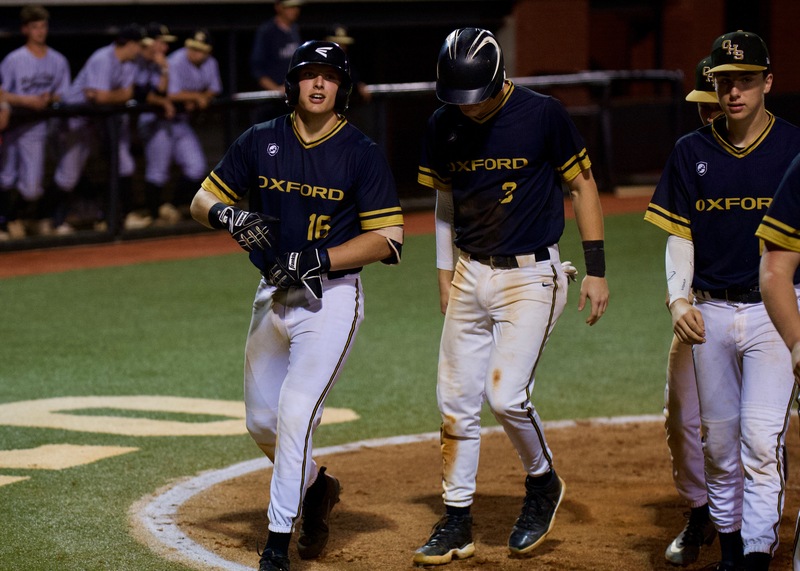 Spivey singled home the Yellow Jackets’ first run of the game in the first inning, extending his hitting streak to 13 games, and hit a long three-run homer to left in the fourth that gave Oxford a 7-2 lead. Pell City changed pitchers right before Spivey came to the plate. Oxford opens the Class 6A playoffs at home against Hartselle. The Yellow Jackets are 9-4 during Spivey’s hitting streak and have won five in a row. Dawson Winningham also had two hits for the Yellow Jackets, while Peyton Howard had two hits and two RBIs. Jarin Turner started the game for Oxford. He went five innings, giving up five hits, one earned run and striking out nine. Cole Hapach worked the last two innings. Benjamin Russell 14, Munford 6: The Wildcats jumped up with three n the first, steadily added to its lead and send Munford to its ninth straight loss. Dawson Strickland and Jakobe Threat both had two hits and Drew Harkins had two RBIs for the Lions. Victory Christian 9, Ragland 8: The Lions scored runs two runs in the fourth inning on an error and a passed ball to take the lead and held on down the stretch to win 9-8 and send the Purple Devils on the road in the first round of the Class 1A playoffs. Ragland took the lead with a five-run third inning. Logan Buckner singled home the first run of the rally and later scored on a bases-loaded hit batsman. Josh Phillips had two hits, while Buckner and Kaden Cotton drove in two runs apiece. Jakobe Threat, Drew Harkins and Dakota Green all hit doubles in the game.